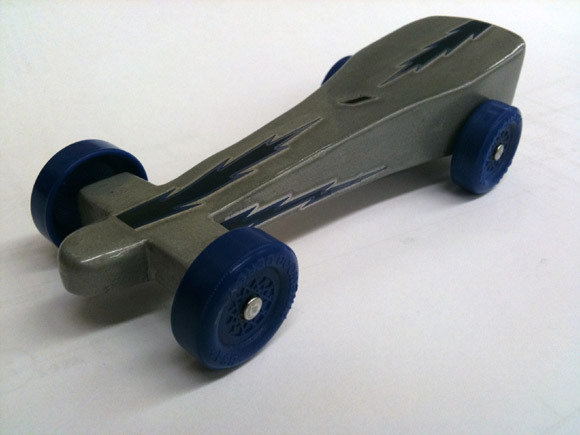 Featured here is a brightly colored pinewood derby car with a few close relatives. 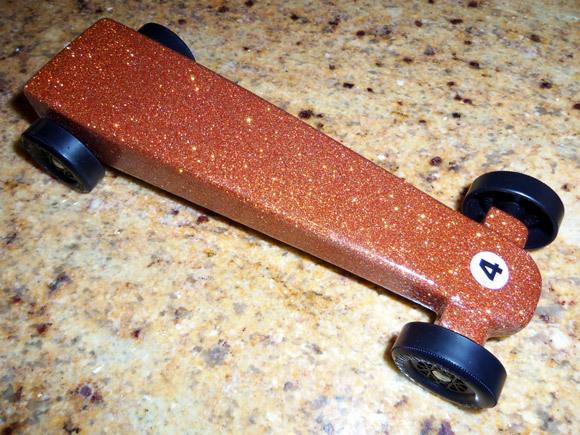 Don’t be afraid to let your car stand out from the crowd. 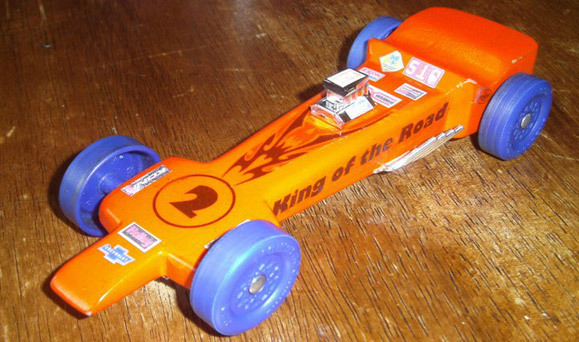 You can learn more about these cars and more at Pinewood Derby Times Volume 11, Issue 13.